Good design instill trust and promotes conversion. Convert visitors to cases with our design services. From your law firm’s website to your logo to a roadside billboard, the design team at SEO | Law Firm can make your firm look good. Good enough to hire. You won’t find any gavels, scales of justice, or clichés at SEO | Law Firm. 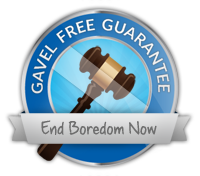 In fact, our logo designers are so opposed to clichés they have created a Gavel Free Guarantee. We focus on the unique aspects of your firm and design memorable, professional marketing materials. A brochure or a website may be the only contact a prospect has with your firm before deciding whether to to trust you for his or her legal needs. Make sure prospects know who you are, what you stand for and why they should hire you. Give clients an easy way to tell others about your firm through word of mouth. Great design can help. While we are building a bigger law firm design let’s also design a better law firm!